Stand in awe before Spanish landmarks, Italian landscapes, and French icons that echo the history-changing moments that once happened there. Climb up inside the spires of Gaudí's Sagrada Familia Cathedral in Barcelona, whisper in awe in the Sistine Chapel, and discover French Marseilles. Explore the Western Mediterranean cities where myth and history converge on your next vacation. With its fast-paced cities, laid-back islands and passion for football, fashion, food and wine, Spain is a truly fascinating country. 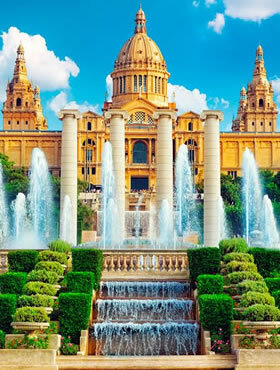 In buzzing Barcelona you can marvel at Gaudi's inspiring architecture or feast on delicious tapas in a shaded pavement café; explore the city's many churches and cathedrals or hit the shops for a shot of Catalan style. Nice is a cosmopolitan city where you'll find a colorful Old Town, elegant Belle Epoque architecture, French Riviera chic and much more. Italy is home to one of the world's most historical and spiritual sites, a universally adored cuisine and a passionate nation. In ancient Rome you can gaze at Michelangelo's magnificent Sistine Chapel ceiling or explore the Colosseum where gladiators once fought. In Florence, feast your eyes on intricate Renaissance art or browse the jewellery shops along the Ponte Vecchio, the bridge dating back to 1345. Pose in Pisa for the essential holiday snap standing against the famous leaning tower or lick some of the most sensational gelato under the Mediterranean sun. 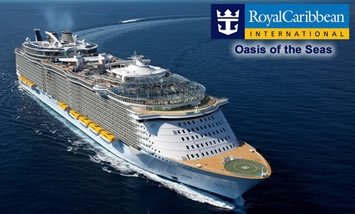 The Oasis of the Seas is a world-class cruise ship with all the amenities and more! 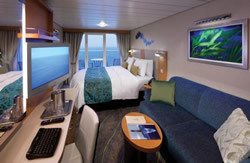 16 passenger decks, an ocean view from anywhere on the ship, ultra-modern lofted suites, and fine dining - what reason do you have to NOT take a cruise on the Oasis of the Seas? You'll find something for everyone onboard - adrenaline filled activities, a peaceful, adults-only Solarium for you and yours - and entertainment for everyone to enjoy! 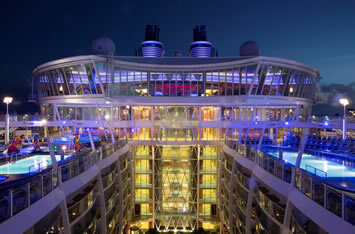 Oasis of the Seas is one of our most popular ships in the fleet and from the moment you step onboard you’ll see why. There’s amazing entertainment, thrilling activities, delectable dining, boutique shopping, not to mention some of the most incredible destinations in the world. All that’s missing, is you. 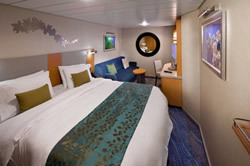 If you're wondering what there is to do on the Oasis of the Seas, rest assured that this ship has you covered! Take a dip in one of the four swimming pools, or relax in one of the ten whirlpools! The Pool Zone has a water park (H2O Zone), cantilevered whirlpools, a Flowrider surf park - which is a state of the art wave simulator where you can surf on the ship - and, there's even a zip-line that goes through the pool area so you can get a birds-eye view of the ship and ocean! Relax in the quiet Solarium (which is adults-only)! Take a stroll through the Boardwalk neighborhood, and look through the shops and restaurants - and there is even a classic carousel for you to ride! The Central Park area is full of lush greenery and restaurants, so you know you're in for a treat when you meander through! If you'd just like to relax, head over to the spa and pamper yourself with a massage! The Vitality at Sea Spa and Fitness center offers cardio machines, pilates, kickboxing, spinning, a weight room, and even full hair and makeup services! 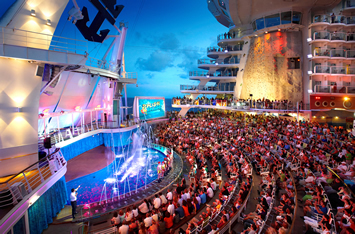 Check out the onboard amphitheater, the AquaTheater - and take in the breathtaking view from any of the decks on the ship! On the Oasis of the Seas, your mouth will start watering when you see the array of food available! Choose from your regular dining options for breakfast, lunch and dinner and enjoy delicious food prepared to your taste! Or, check out the Johnny Rockets on the ship for 50's style diner food! There's a Portofino Italian Restaurant, a Chops Grille, Sorrento's Pizza and even a Ben and Jerry's Ice Cream parlor! Don't forget, there's 24-hour room service as well, serving the full menu! If you're ready to enjoy what the night has to offer, head out and brace yourself! 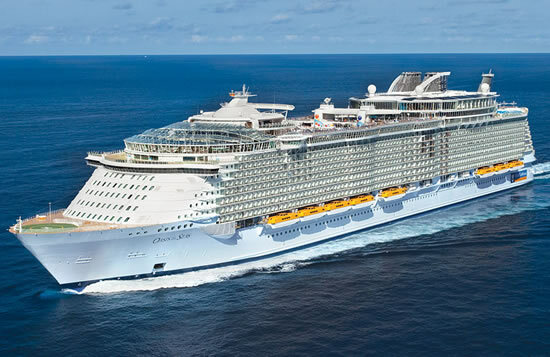 The Oasis of the Seas features a jazz club, a comedy club, Studio B (which features ice shows), Dazzles (which features musical performances of anything from big band to disco), and the Opal Theater, a 1,380-seat theater! There is also the Blaze Nightclub, where you can dance the night away, and the Casino Royale, where you can bet you'll have a great time! Ready for a great party? 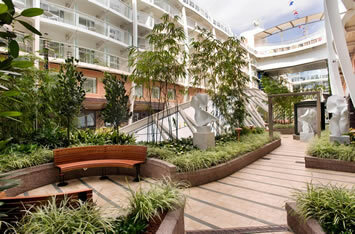 The Oasis of the Seas has themed parades and themed nights, so you can get swept away in your favorite fantasies! Join in the fun! Head over to one of the bars, pubs, or lounges and just relax with your favorite beverage! 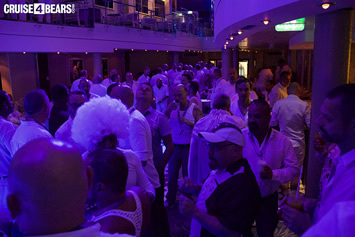 Your night will be full of fun on the Oasis of the Seas! 14 Sep A Day at Sea! 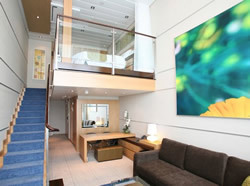 Taxes of €90pp, and optional insurance are additional. First deposit of €490.00 per person is required upon booking. Full payment is due 90 days prior to departure. If you cancel 91 days before departure: 150 EUR. 90-60 days: 20% of total. 60-30 days: 35% of total. 30-8 days: 60% of total. Less than 8 days: 100% of total. 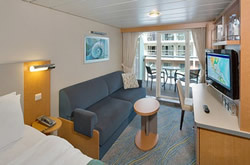 Name change: 35 EUR/pers, permitted until 10 days before cruise. Costs are applied to total (incl. Taxes).